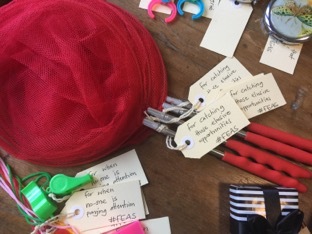 Feminist Educators Against Sexism #FEAS are an Australian-based international feminist collective committed to interrupting, challenging and otherwise shouting out about sexism in the academy and other educational spaces. 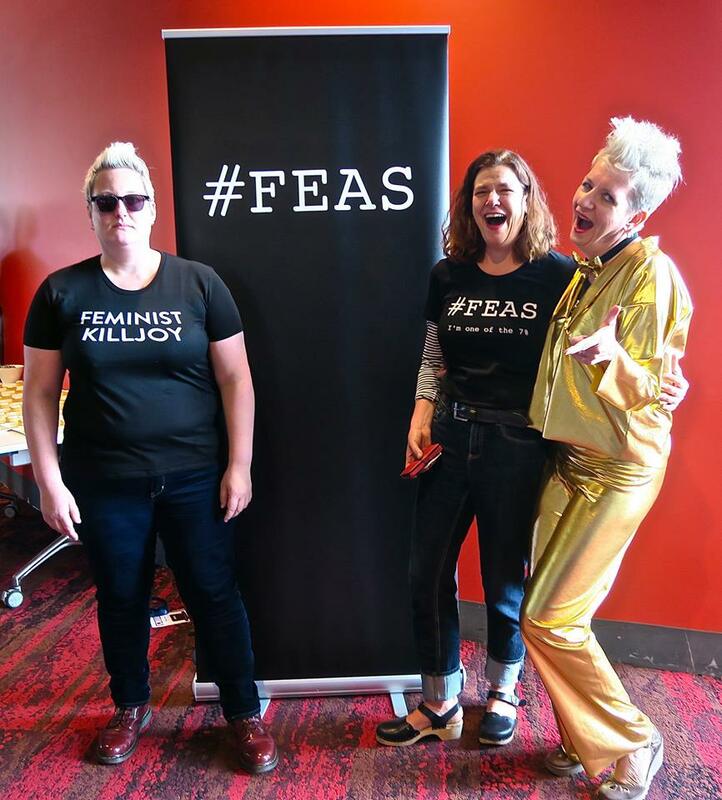 #FEAS was formed by Mindy Blaise, Emily Gray and Linda Knight in 2016 and emerged out of a funded project to develop arts-based interventions into sexism in higher education. Workshops were run with diverse women academics from all career stages and together we developed interventions that were performed at a large education conference. The interventions included sexist/anti-sexist bingo cards, pipeline myth t-shirts that display statistics about women’s employment in Australian universities, whistles to blow when no-one’s listening, butterfly nets for catching those elusive opportunities and a stand up comedy performance that used participants’ experiences as one-liners that aren’t really very funny at all, as well as deploying the literal figure of the feminist killjoy. By challenging sexism through humour, irreverence and collective action we hope to highlight the inequalities, absurdities and the dreary everydayness of sexism in the academy. 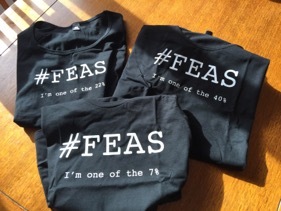 From the original 3, #FEAS now number over 400 and are located in Australia and all over the world including UK, Aotearoa New Zealand, Sweden, Belgium, the USA, Canada and Saudi Arabia. 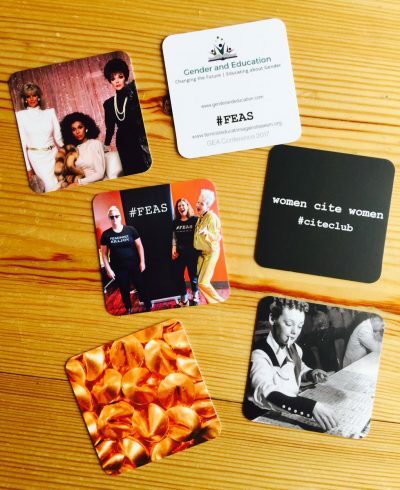 This year, #FEAS have teamed up with Gender and Education and we are busy designing a new range of t-shirts, business cards and working on a brand new stand up performance for your viewing pleasure at the conference. We will also be presenting our research-creation journey so far, including our recently formed Cite Club where #FEAS share research with each other and cite each other where we can. Mindy and Emily are familiar faces at Gender and Education conferences, both having attended many times in the past. Linda is brand new to Gender and Ed and so we are looking forward to introducing her to our favourite conference and to sharing our ideas and interventions with you all!